In many cases, candidates for knee replacement have advanced arthritis. They may have progressed to a stage where even the smallest movements are very painful. The reviews of their medical records including X-rays indicate extensive damage to the knee joint. They might have already visited a few local doctors and been advised to undergo knee replacement. However, the decision to undergo surgery is not an easy one. Taking a second or third opinion is an appropriate approach towards arriving at the right decision. One should also ensure that these opinions are not influenced by the first; which is sometimes difficult for a patient. The lack of credible information about the success rate of knee replacement surgeries, the downsides of delaying a needed surgery, and the risk of complications make it harder for patients to decide. In HealthClues, we encourage and support users to take multiple opinions before they plan to undergo surgery. The benefits of taking a second opinion include being well-informed and aware of the entire procedure. In a few cases, patients may also avoid surgery if his or her condition allows trying out other conservative alternatives. While it is always better to opt for conservative treatment methods, avoiding or delaying a necessary surgery can cause unwanted discomfort. Here are some reasons that can lead to a wrong decision, delay or even to bypass a suggested surgery. An unproven fear is something that has not been backed by any medical research. However, such fears easily perpetuate a well-connected society like ours. While no surgery is completely risk-free, many advances have been made to reduce these risks. Global research has credibly established the safety of knee replacement surgeries. For instance, the mortality rate remains extremely rare at 0.01%, 90 days post-surgery, which is 1 in 10,000 patients.1 Risks involving infection of the surgical site are kept below one percent and can easily be managed in most instances. There are few other minor and long-term risks that may lead to unsatisfactory outcomes. It is a good idea to discuss these risks openly with your doctor. However, patients hesitate to discuss such concerns with their doctors. In the absence of credible information, a patient may feel unnecessary fear about undergoing a required procedure. The desire to avoid surgery at all cost leads a patient to try other treatment modalities that do not involve surgery, some of which may not be scientifically proven. The list of alternative therapies is a long one, including many herbal therapies, Ayurveda, Homeopathy, stem cell therapy, and physiotherapy based approaches. In some cases, these cures may be genuine and might have helped, provided the disease had not already progressed to an advanced stage. However, once the disease has advanced, there is hardly any relief from treatments mentioned above. Unfortunately, these patients convince themselves otherwise, in the hope for a non-surgical cure. Hence such patients often end up spending money on therapies that have no real benefit. If cost is the primary reason for avoiding a knee replacement then perhaps the patient is not aware of various options available. The cost of surgery depends on many different factors such as the doctor’s and hospital’s reputation, choice of implant, preferences for inpatient services (such as the type of room selected during hospitalization), and the cost of physiotherapy. The surgery fee can vary among doctors and hospitals, with negligible difference in quality. Similarly, it may be possible to go for an equally good implant that is less expensive. 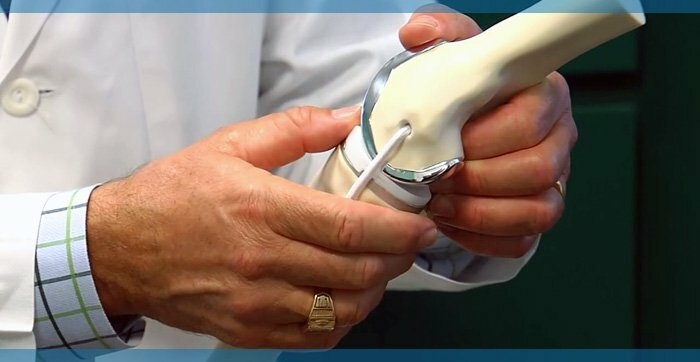 It may be important to discuss whether a person requires a costlier knee implant when a simple implant may be enough. Complete recovery from a knee replacement surgery can take time. One of the issues here is that patients are not adequately informed about the recovery period and the procedure. It may be due to lack of communication from both doctor and patient, leading to two major issues. The patient is not prepared to go through the rigors of post-surgery rehabilitation, which can extend from 3-4 months to a year. Rehabilitation requires a patient to work together with a physiotherapist and follow instructions, religiously. Lack of understanding of the post-recovery process creates a false impression that surgery has not been successful. When a patient is under the belief that he or she would be able to walk painlessly after the initial recovery period of 3-4 weeks; it leads to disappointment and negativity about the whole process. The right way to address this, for both the patient and doctor, is to have an honest discussion about the post-surgery recovery process. As knee joint damage progresses, it causes further damage to the surrounding soft tissues. When the mobility of a patient is reduced, the muscles that provide strength to the knee joint become weak. It may be very evident that when a particular muscle is not used often, it loses its strength. Medical research has shown that when the pre-operative condition of the joint is not good, the outcome of the surgery gets worse. There is always a right time for deciding when to undergo a surgery, which is not when one has damaged one’s knees to the extent that mobility is severely compromised. Loss of mobility and a sedentary lifestyle due to pain leads to wasting of soft tissues and muscles around the knee joint. When one delays a surgery, post-surgical recovery becomes tough, because the body has to rebuild the strength in muscles and other soft tissues. Barring a few cases, knee implants typically last about 20 years or more with normal usage. The lifestyle of an adult Indian male does not expose an artificial joint to great levels of stress. Many patients fear that the implant will need to be replaced in a few years. Usually, these concerns are based on hearsay about exceptional cases where a revision surgery might have been required. These do not reflect the outcome of most cases. A patient’s concern towards going under the knife is but natural. However, doctors need to make sure that the patients are well informed and aware of their condition and the disability it may cause if appropriate intervention is neglected or deferred. Patients should avoid relying on unauthorized information, and should frankly discuss their fears with their doctor. Besides, they should surely take a second opinion and a third, if need be, before going for a surgical procedure. Predictors of Outcomes of Total Knee Replacement Surgery, Andy Judge; Nigel K. Arden; Cyrus Cooper; M. Kassim Javaid; Andrew J. Carr; Richard E. Field; Paul A. Dieppe, Rheumatology. 2012; 51(10):1804-1813. Knee Replacement, Osteoarthritis chronic knee pain, knee joint, knee noise, knee pain, knee replacement, knee replacement cost, knee replacement surgery, knee surgery, knee surgery risks. permalink.